To enrol your child, please drop by our office with their most recent school report or email the school report to us. We strive to ensure every student is enrolled in the right class for them. Subjects are taught in ten-week terms. Students may enrol mid-term and pay for the remainder of that term. Discounts are available for students studying more than one subject. Payments may be made by cash or cheque. If paying by cheque, please make cheque payable to PEAK TUITION. Please bring an A4 exercise book for each subject. 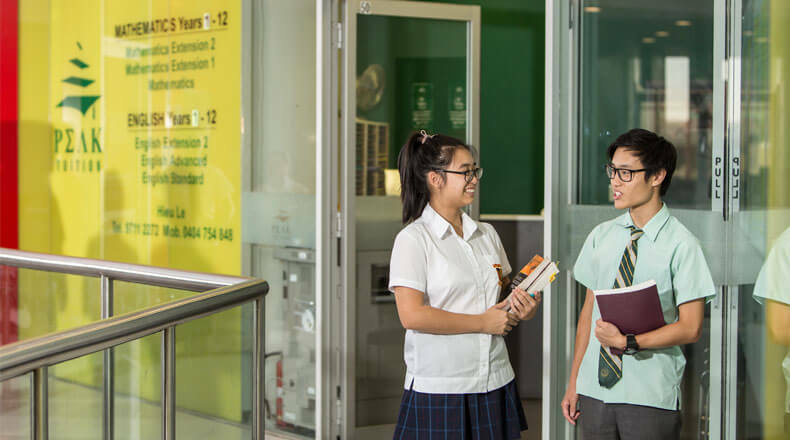 Our air-conditioned classrooms are in the Cabramatta International Centre. Take the escalator or lift to Level 2. We are located five minutes walk from the railway station and next to the multi-storey carpark.